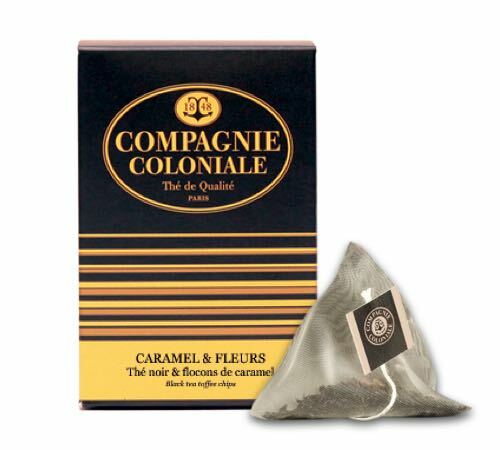 Box of 25 pyramid bags of "Caramel et Fleurs" black tea by Compagnie Coloniale. This black tea will seduce you with its sweet notes of caramel mixed with petal flowers. SCOP TI's Organic 'Millésime Tilleul des Baronnies' Linden Infusion uses 100% natural ingredients. Made in France. An exceptional caffeine-free blend to enjoy at any time of day! 20 individually-wrapped sachets.